This dish came on the heels of Thanksgiving, and while I was still high on cooking in a beautiful kitchen overlooking the horse pasture and listening to the fire crackle, I wanted to keep the meal light and guilt-free. 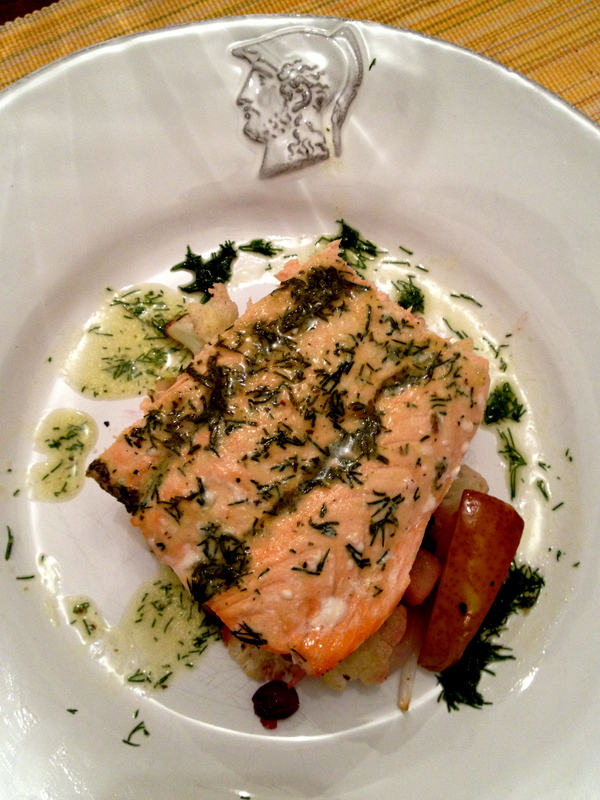 That is where said salmon comes in. In a small bowl, I mixed a tablespoon of good Dijon with 1/2 cup of lemon juice, two tablespoons of chopped dill, salt, and pepper. 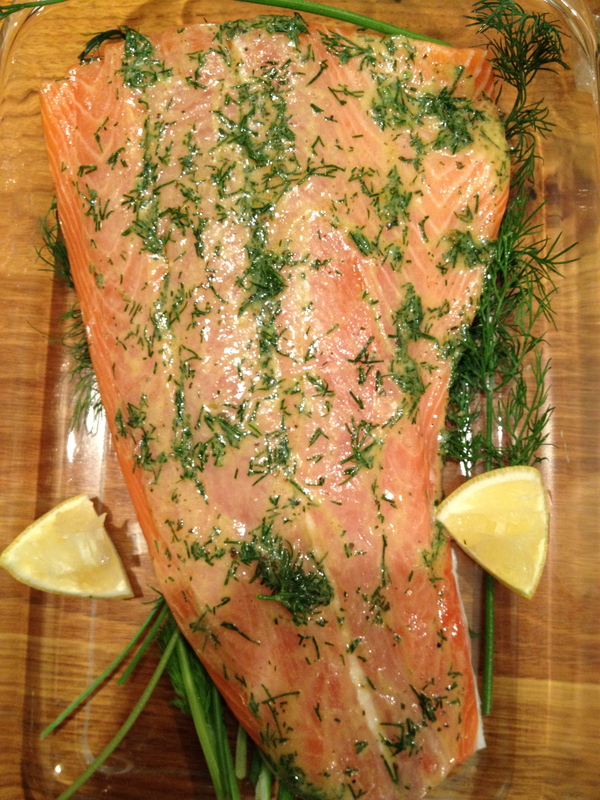 I placed the salmon over dill sprigs in a baking dish so that it didn’t stick, and then I spooned the dill mixture over the salmon, saving just a few drops for the very end. In a separate dish, I mixed the cauliflower, cranberries, pear, and 1/2 a yellow onion with olive oil, cinnamon, salt, and pepper. Then I baked the veggies for about 1/2 hour or until tender. 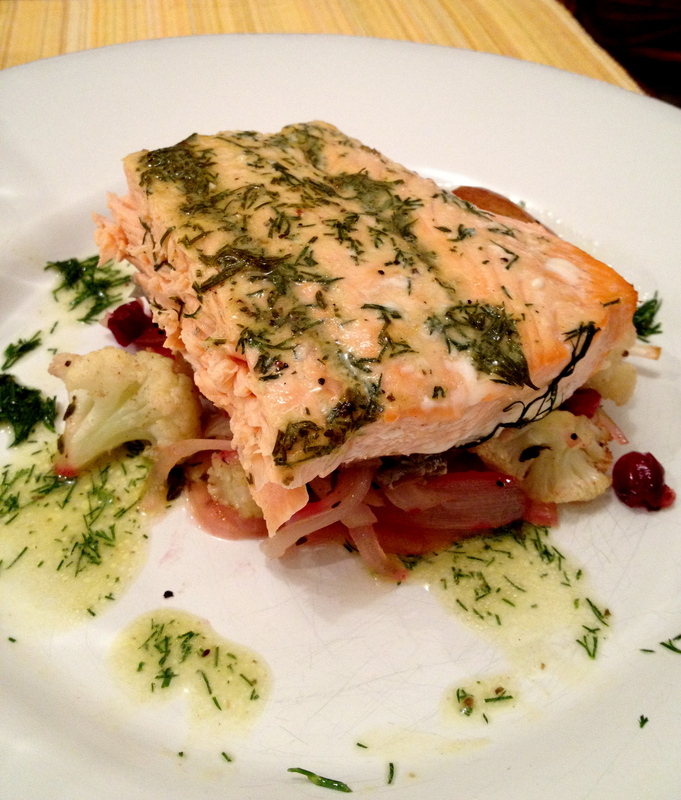 I served the salmon over the veggies with a little bit of the remaining lemon juice mixture. 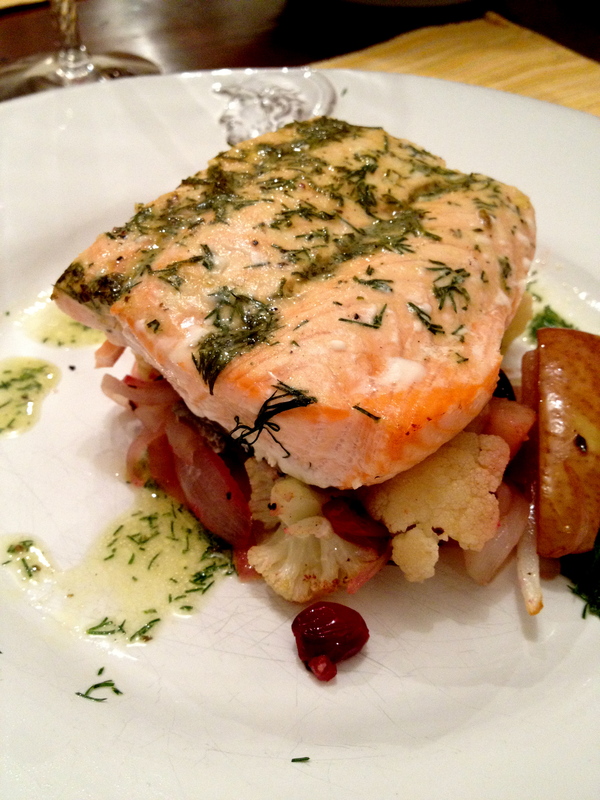 The salmon was tender and flavorful, while the vegetables and pear added texture, sweetness, and tartness. Some of the cranberries kept their form until pressed with a fork, and some of them cooked right down to a sauce, justifying the meal as a wintertime dish done lightly.